WHAT IS KINDRED BEING BEYOND QUANTUM HEALING? SESSION CALENDAR. BOOK YOUR SESSION HERE. SCHEDULE A FREE KBBQH CONSULTATION HERE. Expand The Light Within. Discover Energy Aids And Services Within These Pages. Kindred Being Jaime discusses the changes happening with our sun. Clips and information are shared from Beyond Quantum Healing sessions as well as a video of our Alien friends busy around our sun. Find Our Complete Video Collection Here. Certified Beyond Quantum Healing facilitator Jaime talks about what happens in a hypnosis session. Kindred Beings Jaime and Karl share their open conversation about ascension. 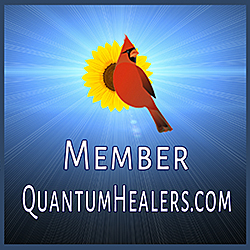 Join our supportive facebook group where we discuss awakenings and transformation.